Your death need not be the end. For those who awake in the River flowing by the hamlet of Rivers Run, a second chance at life is theirs to take. As they leave behind everything they have ever known and are immersed in a portmanteau of cultures and eras, they must survive the strange, the foreign and the unknown. 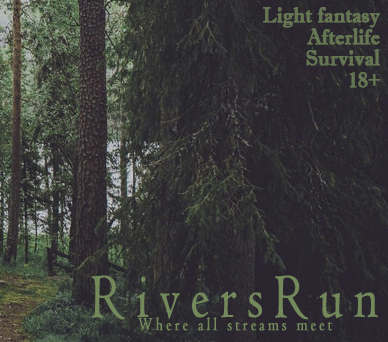 Rivers Run is a mature post-by-post role-playing game set in an original, low-fantasy world accessible only by death in the real world. Open to new characters, or as a home for those without games, Rivers Run is focused on character development and creating a fun community for all.